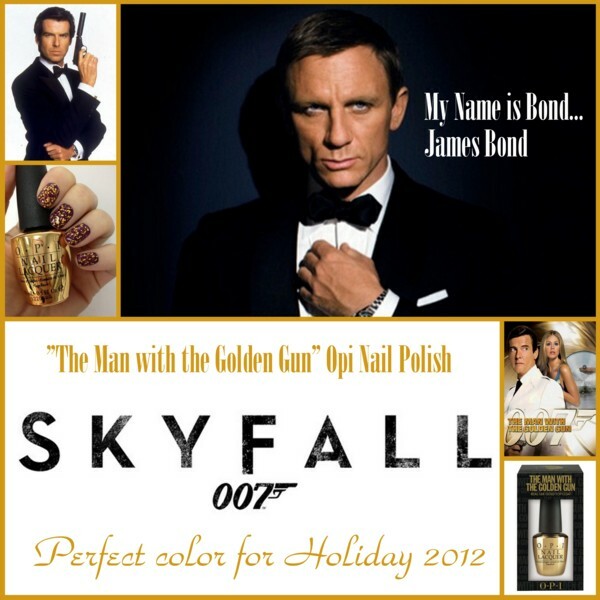 With the release of the movie SKYFALL on November 9, and the anniversary of 50 years of James Bond 007 movies, OPI has decided to join in the celebration by producing this stunning topcoat with real 18 karat gold. Packaged in a limited edition collectable gold bottle, this makes the perfect holiday gift or stocking stuffer. We all know how stunning the ladies look on the big screen standing next to 007, they always manage to look dazzling and now you can too this Holiday season. Gold has always played a big part in keeping with the signature style of the Bond women. So get inspired and try using burgundy with golden nails or keep it lighter and fresher with a simple gold French tip. Skyfall is the twenty-third spy film in the Eon Productions James Bond series. Plot: When an operation in Istanbul ends in disaster, James Bond is missing and presumed to be dead, and the identities of every active undercoverMI6 agent are leaked onto the internet. Music: "Skyfall" is a song performed by Adele with Joel Pott and was released on October 5. 2012 as part of "Global James Bond Day" celebrating the 50th anniversary of the release of Dr. NO, the first James Bond film. PREVIOUS ARTICLE: HOME DESIGN-SIX WINDOW TREATMENTS TO REFLECT UPON! This entry was posted on Thursday, October 25th, 2012 at 7:00 am	and is filed under Fashion. You can follow any responses to this entry through the RSS 2.0 feed. You can skip to the end and leave a response. Pinging is currently not allowed. 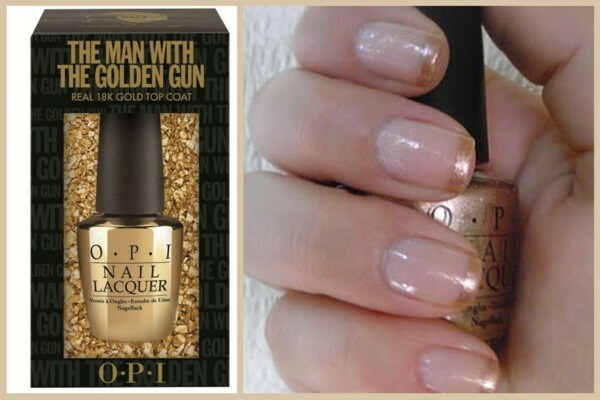 I am intrested in purchasing the man with the golden gun nail polish where can I buy it? This nail color was so popular when it first came out that it is hard to find in retail stores. I did find a link via eBay that has one listed.